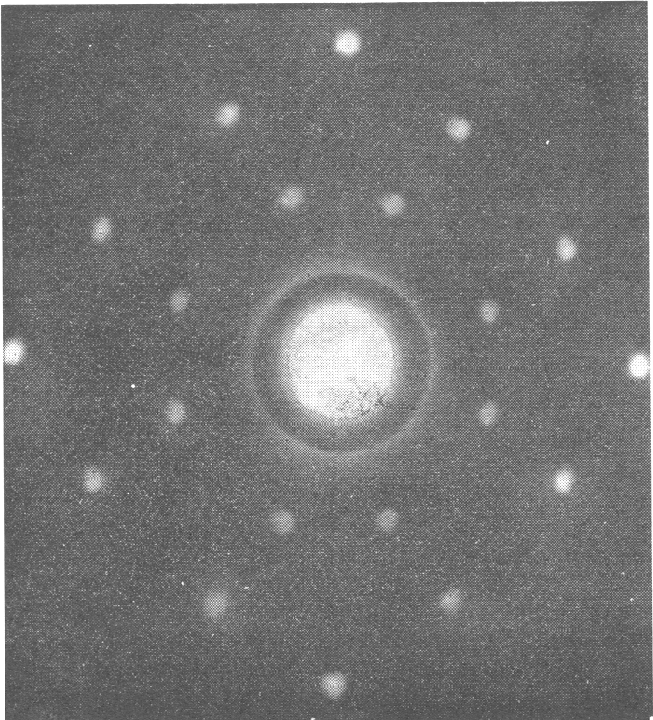 Electron waves were first demonstrated by measuring diffraction from crystals. 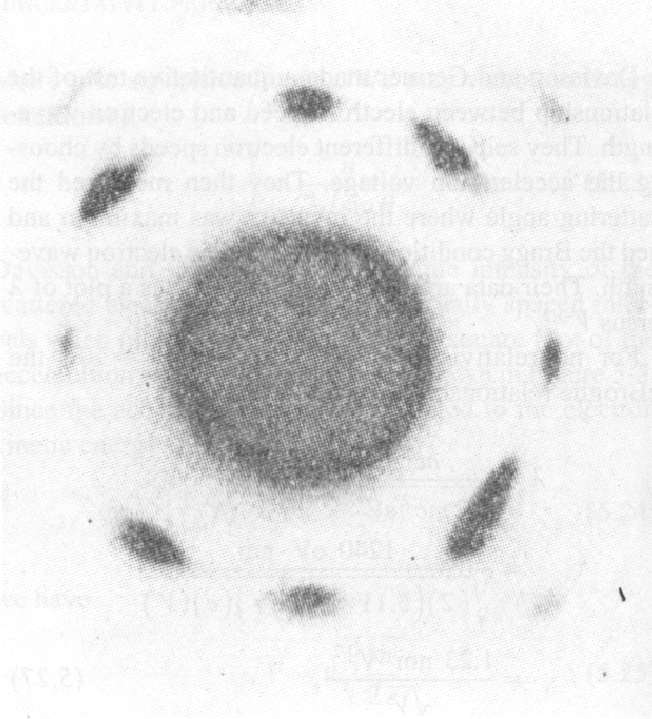 Davison and Germer observed diffraction of electrons from a Nickel crystal in 1928. They varied the electron energy to measure the electron wavelength, agreeing well with the deBroglie expectation. First we see diffraction from a single crystal. 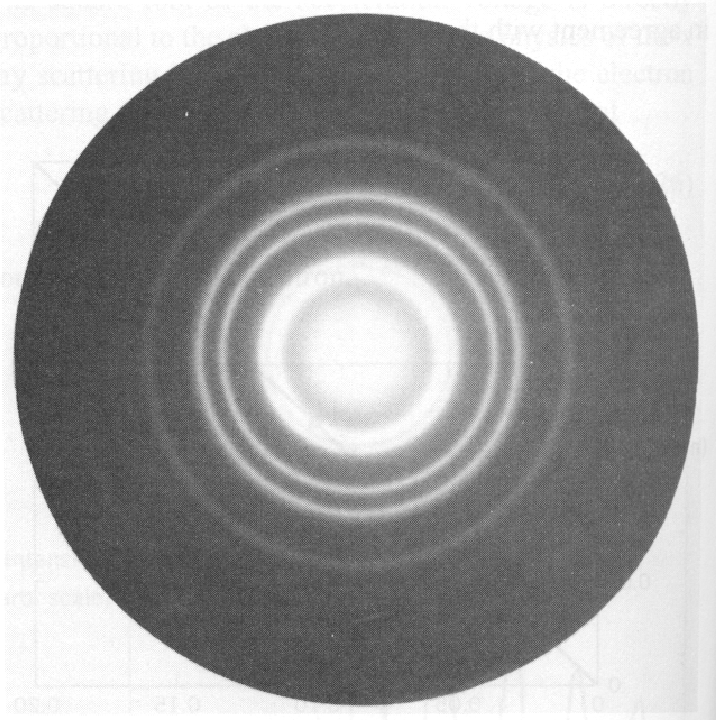 Diffraction off polycrystalline material gives concentric rings instead of spots. Diffraction from crystals is a powerful tool. 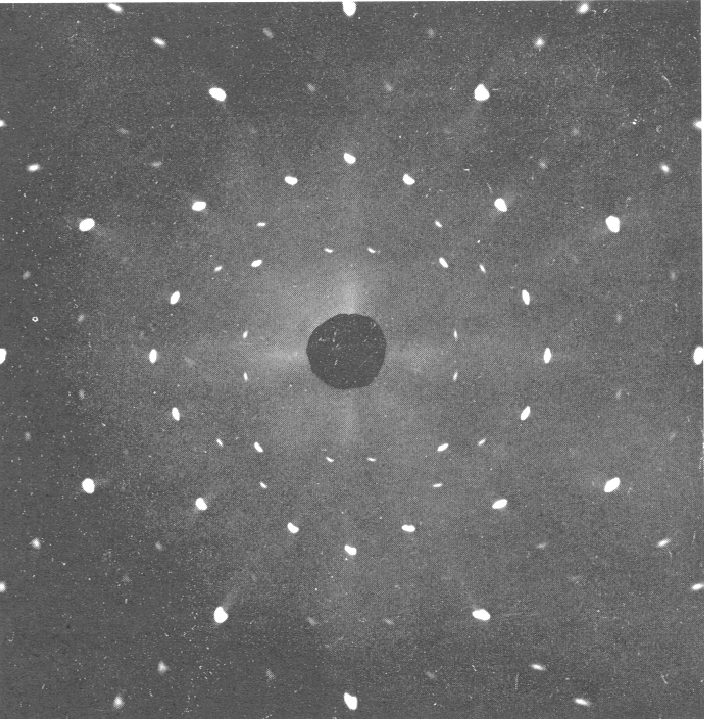 First we see x-ray diffraction from a single Sodium Crystalwhich has periodic locations of the atoms. Another example of diffraction is shown below. Here neutrons diffract from a single Sodium crystal.